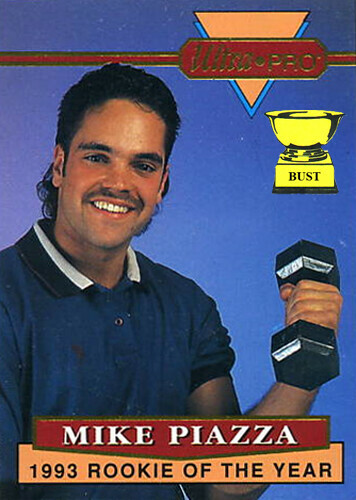 If, at the time of this photo, Piazza knew that a pinstriped roided out behemoth was going to chuck a bat at his shins one day do you think he would have moved up to the 10's? Maybe even the 15s. You know, with a spotter, of course.